This picture falls under the line of it’s not the best picture but the moment rocks. I have never seen a coyote down at Lake Michigan. 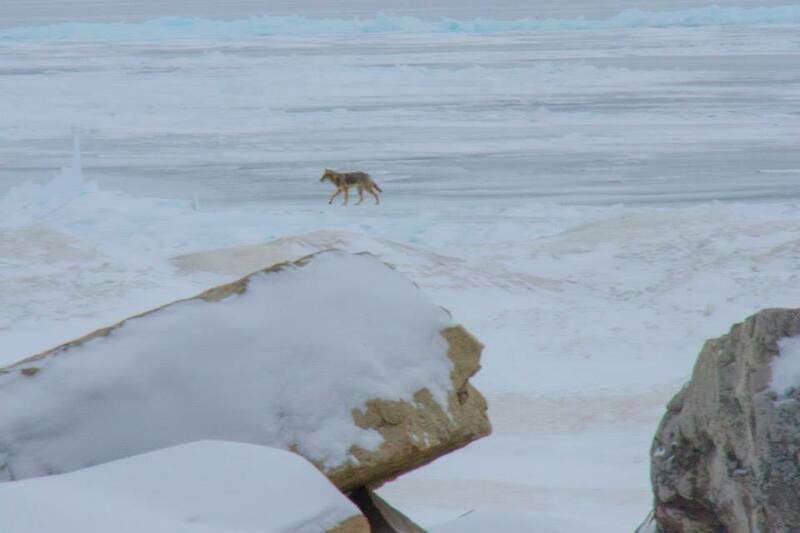 This coyote was romping around the ice playful like. It ran back and forth repeatedly, on the ice, off the ice and back around again. It was a cool thing to watch. No matter how prepared you think you are a moment like this is difficult to capture. Being prepared rarely means perfection. I had the wrong lens and I was too far away. If I had been out just for pictures I may have been more prepared. This was on my drive to work that I saw this coyote. Having my camera with me virtually all the time does not make me prepared. I know what the POD did for my skills. I wonder if I was actually prepared for a “real” shoot every day what I might produce. I have to keep this thought at bay though. There is only so much time in a day. I make demands on myself that go too far already. This entry was posted in POD (Photo o Day) and tagged carefree, coyote, ice, Lake Michigan, photography, playful, prepared. Bookmark the permalink.